On a typewriter-collecting and research trip to Queensland in August last year, I visited Derrick Brown’s office outside Brisbane. I was there to collect a New Yost, but gleefully availed of what was for me a rare opportunity to look at what else Derrick was proposing to sell before taking retirement. Being a man of limited financial means, I picked out just three models that were of particular interest – the cream of the crop, really – and set myself a six-month tightly-budgeted period in which to acquire them. As well as the Yost, in fantastic condition, I took with me a gorgeous Noiseless portable. 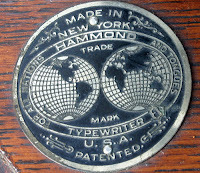 Then a Hammond 2 arrived at my door, followed by the brilliant Fox No 24, mentioned in an earlier post. 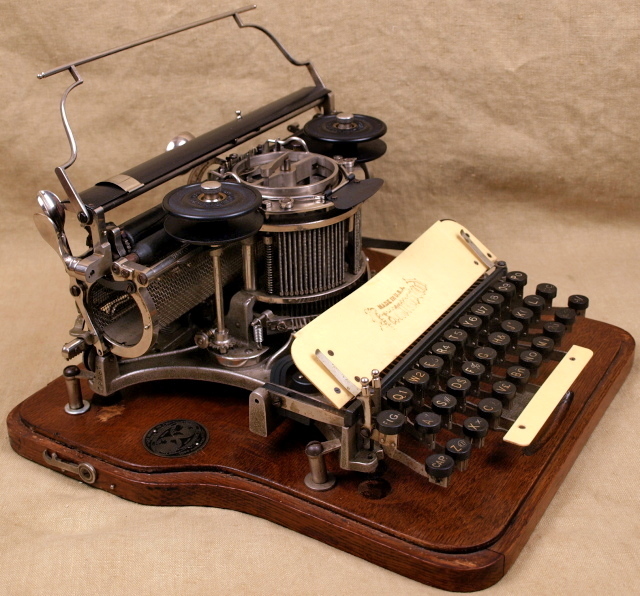 Meanwhile, Derrick has continued to have success selling his beautifully-presented typewriters at, or close to, the right price – the true value; although a wide-carriage Imperial D seems not to have been snapped up at an extremely low $275. 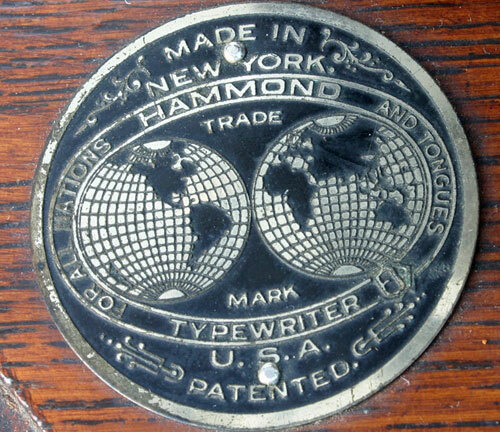 When I looked at the Hammond 2, Derrick pointed to a small metal shield on the right side of the wooden base, opposite the familiar Hammond badge on the left. All I could make out at the time was the name, which looked like Southerden - and, this being Brisbane, my first thought was that there might be some connection with that city’s J.S.Southerden, who at the turn of the century was the “Australasian manager” for the Blickensderfer Manufacturing Company. I was, of course, mistaken, but more of Southerden in a later post. 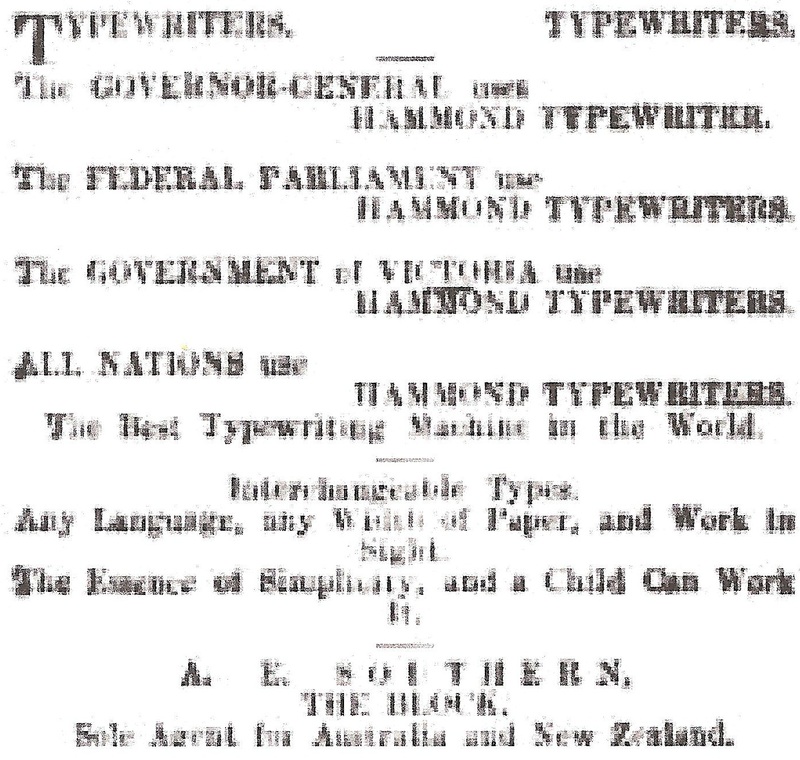 Albert Edward Southern was the sole Australasian agent for Hammond typewriters from 1899-1903. During that time he was based in Melbourne, and by all accounts, doing fairly good trade out of a highly-desirable business address – a down town arcade called, simply, “The Block”. 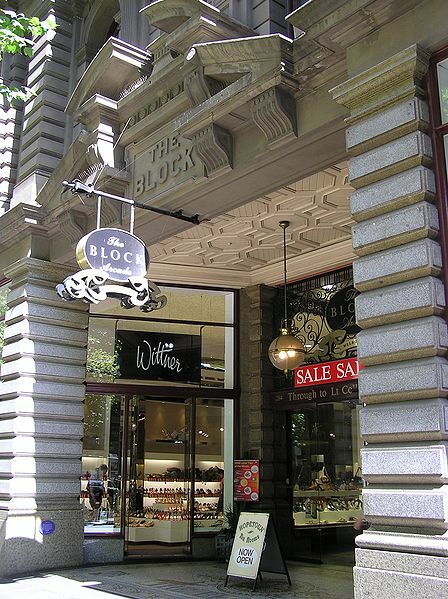 The Block is now part of Melbourne's Golden Mile heritage walk. 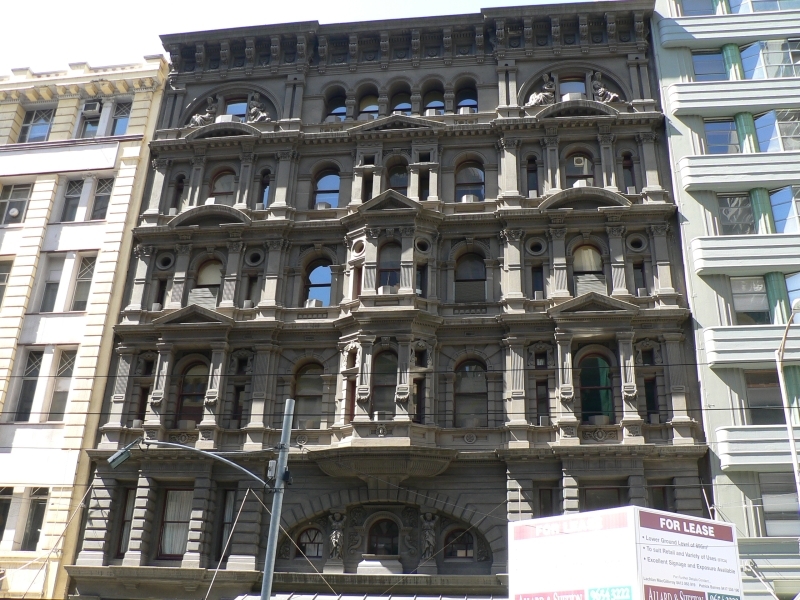 It was erected between 1891-93 and was designed by David C. Askew, whose brief was to produce something similar to the Galleria Vittoria in Milan. 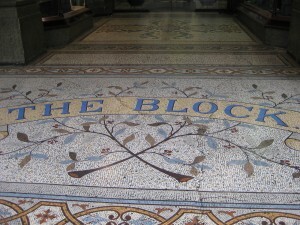 The result was one of Melbourne's most richly decorated interior spaces, replete with mosaic tiled flooring, glass canopy, wrought iron and carved stone finishings. Then, in 1902, things turned sour for this not-so-great Southern man. 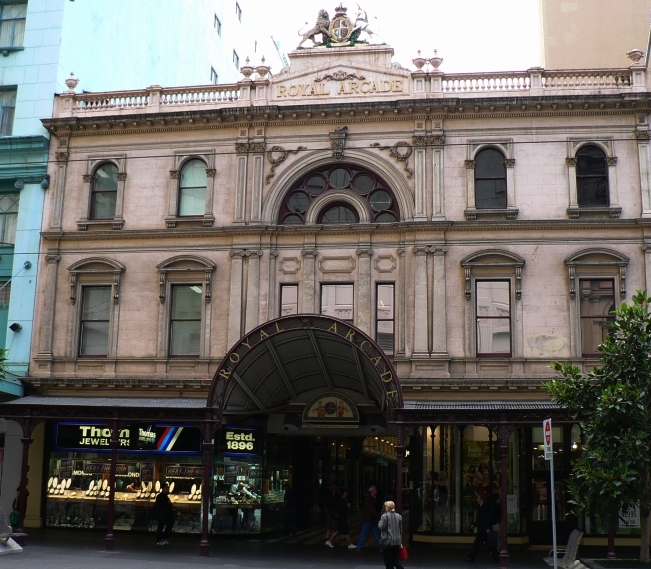 One sunny early afternoon in the spring of 1902, Southern was assailed – and had his brand new hat kicked in - on one of Melbourne's main streets. 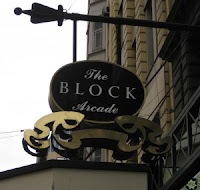 His attackers were two brothers of the young woman with whom he had been having a two-year affair – and with whom he was walking arm-in-arm on that said street on said sunny spring afternoon. The police intervened and the whole sordid matter was exposed in court. Included in the evidence was the damning remark made by one of the brothers, Norman Nelson, at the time of the assault: “Now, look here, Southern, this has gone far enough. You have ruined my sister and caused enough trouble. You go home to your wife and children.” Norman was fined one shilling and his brother, Olaf, was let off for kicking and putting a “ding” in Southern’s 10 shillings belltopper hat. 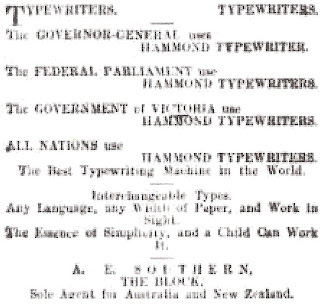 Perhaps preoccupied with matters other than Hammond typewriters, it seems likely Southern’s business had started to go downhill in the six months leading up to the unsavoury incident on busy Elizabeth Street. 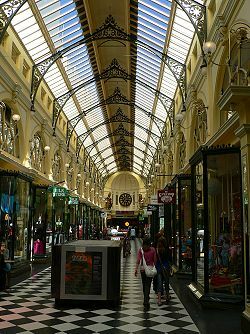 But his ill-fortune was no doubt pushed along by the bad publicity concerning the case, which was reported in full in Melbourne’s leading newspaper of the day, The Argus. 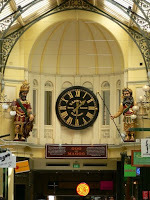 Southern moved out of The Block to another, slightly less prestigious address, at a nearby arcade, The Royal. 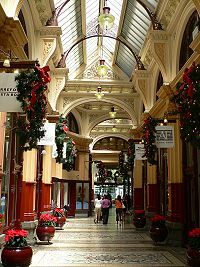 The now fashionable Royal Arcade is also heritage-listed. 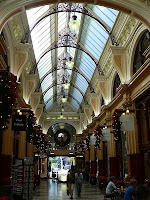 Originally built in 1869, the arcade was designed by Charles Webb. 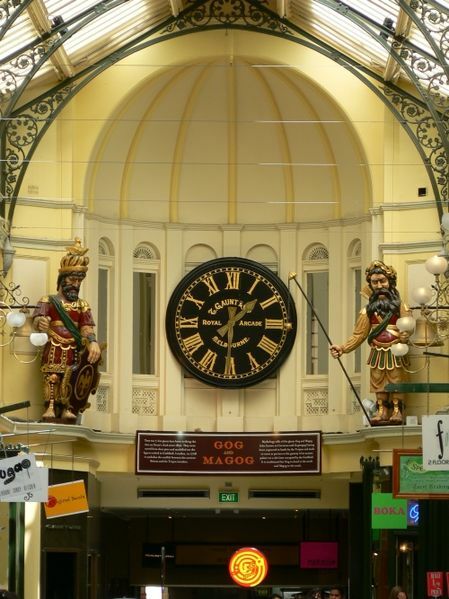 At one end it features effigies of mythical figures Gog and Magog, and a clock which chimes every hour. 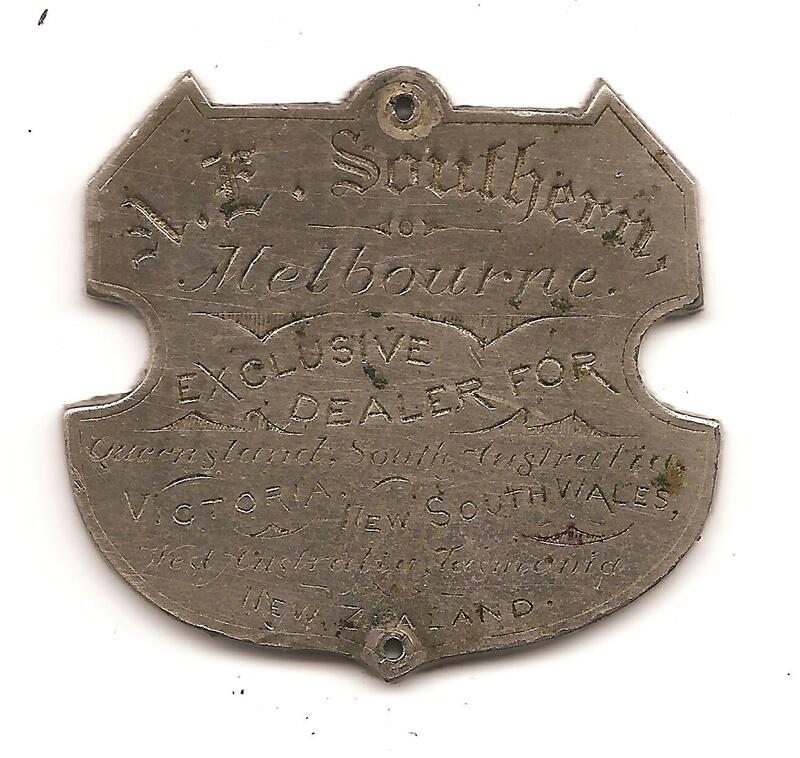 Needing finance as his business subsided, Southern added Remington to the brands he was promoting (selling them for £8) and later became a typist (rather than typing tutor) and took on a partner, one Joseph Selby Link. But this too turned bad, and Southern was soon back in court, this time over the business arrangement with Link, who had taken over the Hammond agency. But let’s start at the beginning of this intriguing tale. 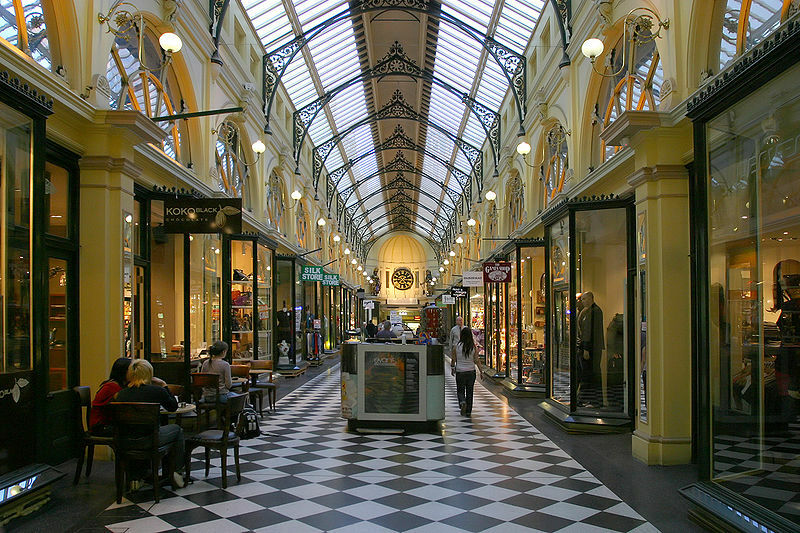 Southern was born at Leamington, Warwickshire, England, in 1861. His father, William, was a private school tutor, in mathematics and English. 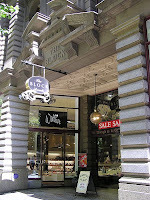 Albert started employment as clerk, but in 1883 worked his passage to Australia as a steamship steward. 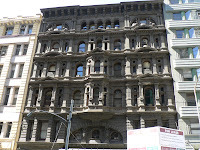 He arrived in Sydney, then made his way to Melbourne, and was from 1885-89 licensee of the Richmond House Hotel in Portland, Victoria. Link, born at Geelong, Victoria, in 1872, was a civil engineer and the son-in-law of South Australian Federal Senator James Styles (below). 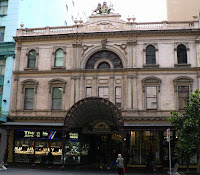 After losing his American typewriter importing business, Southern returned to his first profession, as a clerk, and in the 1930s moved to Sydney, where he became a journalist. He died in 1944. Postscript: It’s interesting to note that in a lengthy feature article I wrote for ETCetera magazine last August, about the early days of typewriter selling in New Zealand, the names of the two leading importers both finished up in the newspapers after similar unseemly affairs. One was caught up in an attempted blackmail, the other was “found to have ‘fractured the Seventh Commandment’." I love that "fracturing" phrase. Good story. 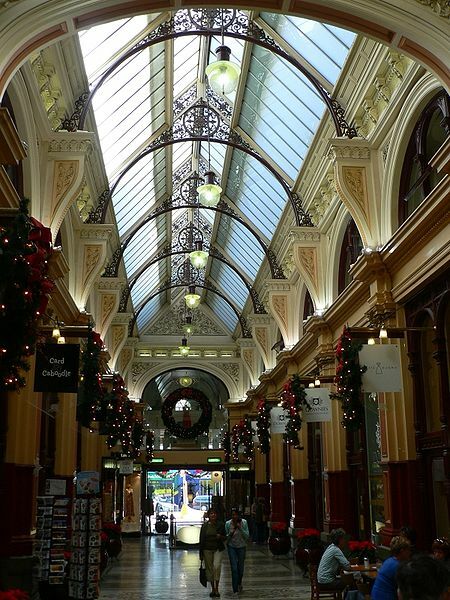 Those arcades are simply beautiful and I'm glad they are still in existence. Great story Robert, well done to all involved in the research and retelling. I wonder if the Block designer's name was a handicap in his architectural practice? 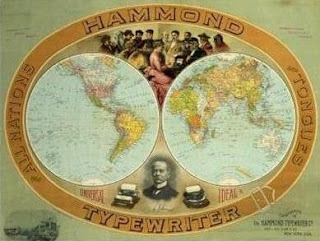 Do you know of any sources for samples of the different languages supported by the Hammond? I'm looking for good-quality images of the Hammond Irish face. Hi Michael. Are you talking about type shuttles here? If so, I'm not aware of an Irish face. Or is it a downloadable Hammond font you want? I'm not sure. Ultimately what I want to do is digitize the Irish face, but the sample I have evertype.com/celtscript/hammond.jpg is a very low resolution scan. That comes from some advertising literature from Hammond and shows quite a variety of faces on the old type shuttles.